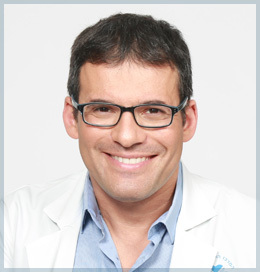 Dr. Ofir Artzi is an internationally renowned expert in the field of lasers and aesthetic dermatology. After graduating from the Faculty of Medicine at the Technion in Haifa, Israel, he went on to specialize in Dermatology at Tel Hashomer Medical Center in Israel. Dr. Artzi gained unique expertise among the leading laser centers in the US and Europe, focusing on scar prevention and remodeling. Today, Dr. Artzi heads the Center for Aesthetic Dermatology at the Department of Dermatology, Tel Aviv Medical center. The Center for Aesthetic Dermatology is at the forefront of treatment, teaching, and research in aesthetic dermatology. Dr. Artzi is a member of many national and international dermatological and cosmetic professional associations, participates in many professional forums and has been honored as a guest speaker at numerous national and international aesthetic and dermatologic conferences.